In 1884, Edwin Abbott Abbott wrote a mathematical adventure set in a two-dimensional plane world, populated by a hierarchical society of regular geometrical figures-who think and speak and have all too human emotions. 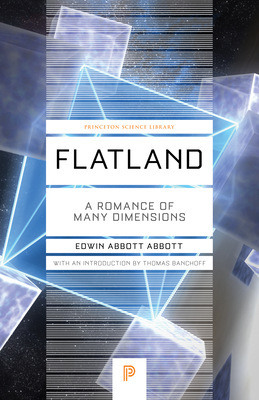 Since then "Flatland" has fascinated generations of readers, becoming a perennial science-fiction favorite. By imagining the contact of beings from different dimensions, the author fully exploited the power of the analogy between the limitations of humans and those of his two-dimensional characters. A first-rate fictional guide to the concept of multiple dimensions of space, the book will also appeal to those who are interested in computer graphics. This field, which literally makes higher dimensions seeable, has aroused a new interest in visualization. We can now manipulate objects in four dimensions and observe their three-dimensional slices tumbling on the computer screen. But how do we interpret these images? In his introduction, Thomas Banchoff points out that there is no better way to begin exploring the problem of understanding higher-dimensional slicing phenomena than reading this classic novel of the Victorian era. Edwin Abbott Abbott (1838-1926), the author of more than fifty books on classics, theology, history, and Shakespeare, was headmaster of the City of London School and one of the leading educators of his time. Thomas Banchoff is professor emeritus of mathematics at Brown University and author of Beyond the Third Dimension.